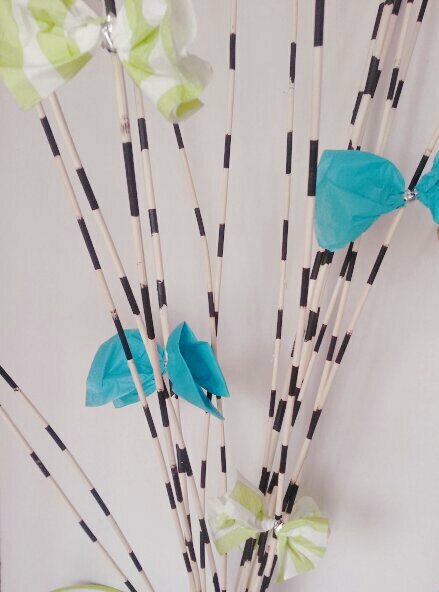 Hen House Linens has some great Spring designs perfect for upcoming wedding & bridal showers, garden and tea parties and Mother’s Day brunches. 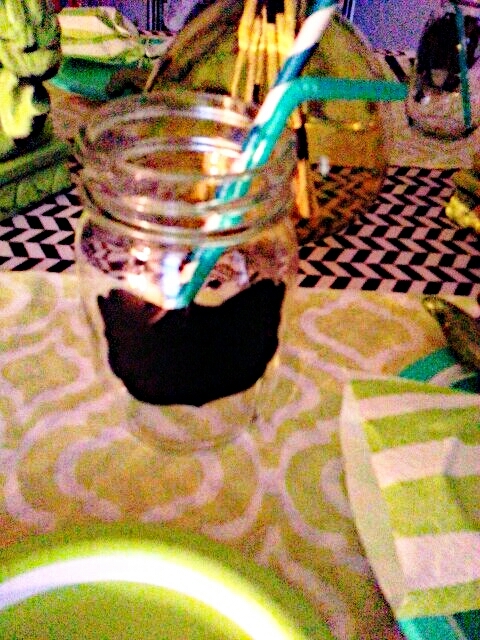 In case you missed it, I used their linen before in my Valentine’s post. 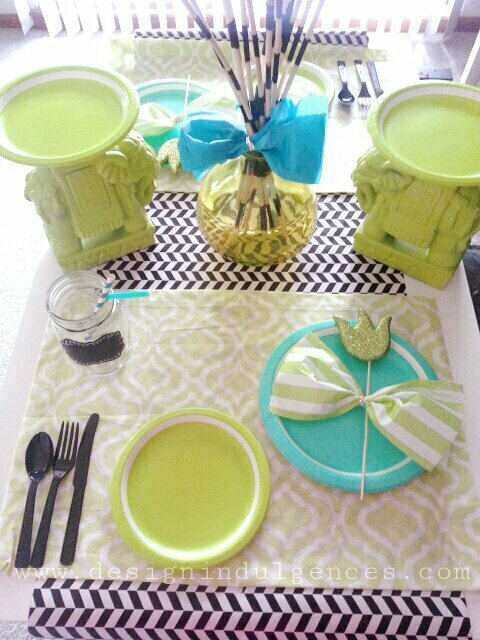 This time I opted for the bargello citron pattern which is their take on the quatrefoil pattern I love. 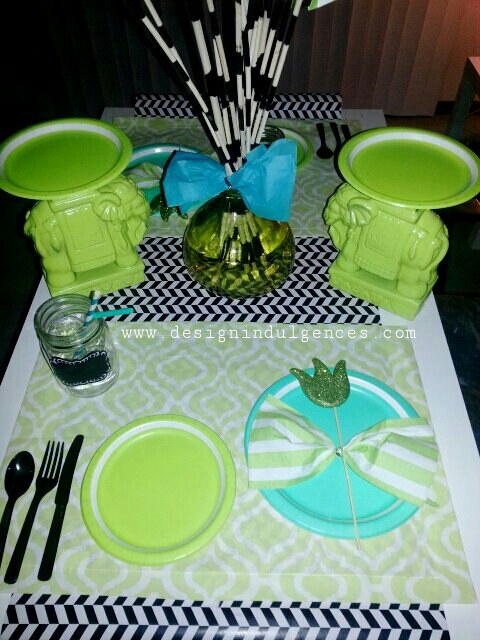 It’s a boldly modern with a retro vibe that is sure to make some tablescapes festive and fun. 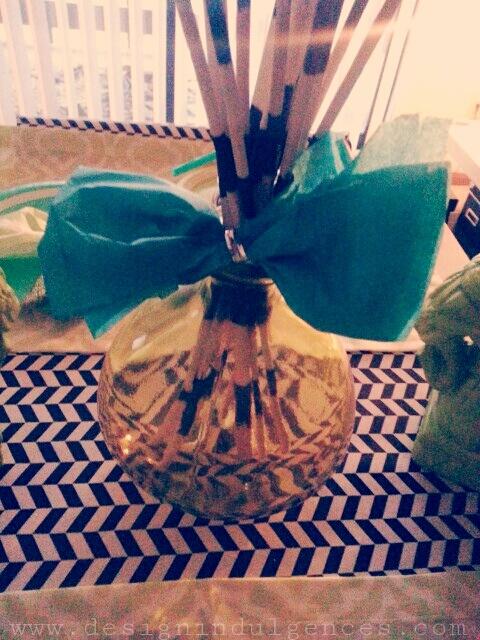 I opted for a black and white with turquoise color scheme. 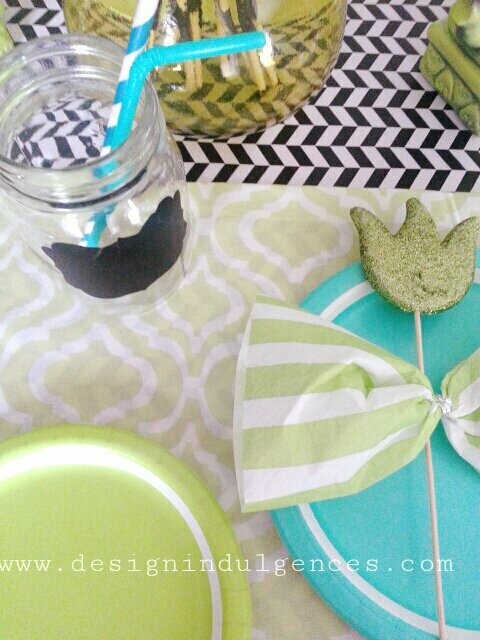 I wanted to create an affordable tablescape using things around the home and mix matching real linen with paper products for a cost effective way to jazz up a place setting. 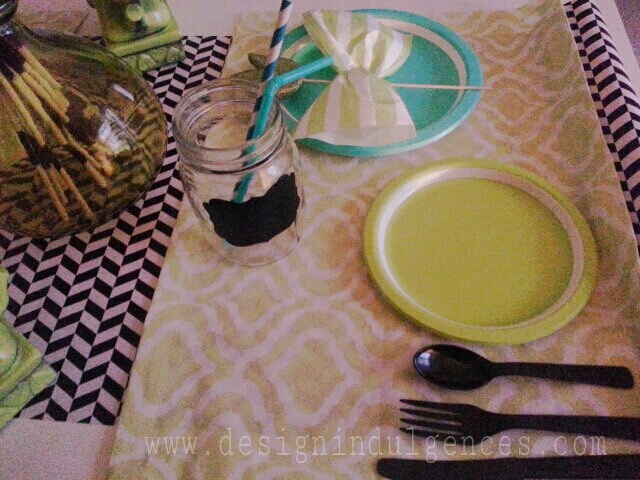 Using a graphic black and white wrapping paper, I created a runner to contrast between the lime green color of the place mat. 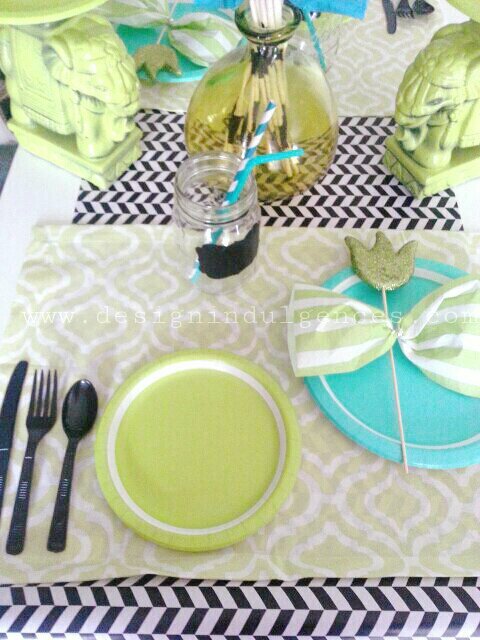 I used turquoise to add another pop of color that would work really well for anything Spring related. 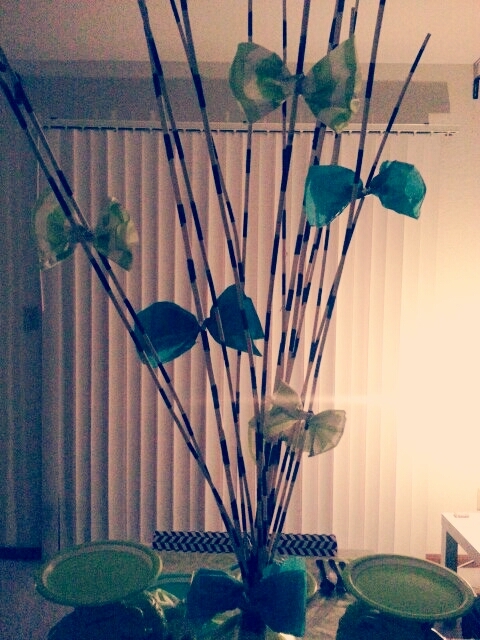 The vase was a previously owned item that happened to match perfectly so I put my Ikea sticks from another vase into that one and used napkins to create bows tied and secured with bag ties. 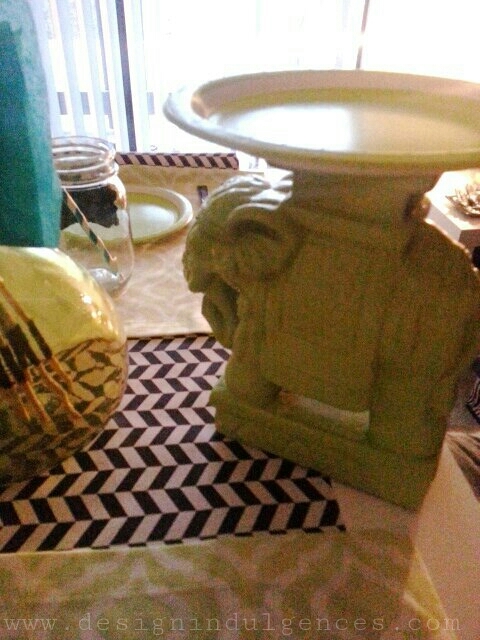 The elephant book ends were also something I owned and I used them to hold smaller plates. 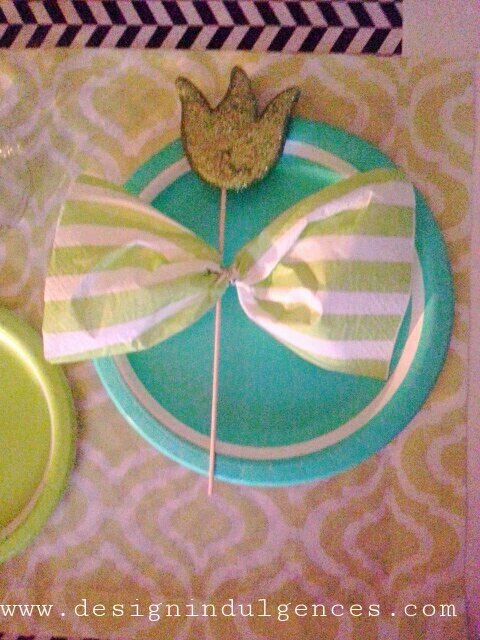 I figured if this were a real place setting, lightweight foods like bread or mini cupcakes could stay at the table. 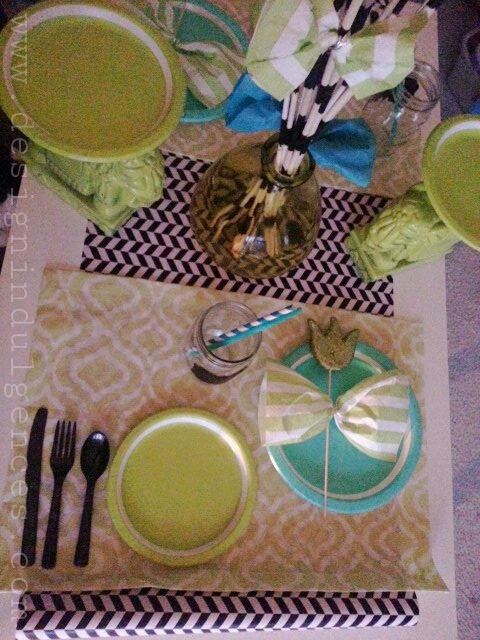 Always use things you have like candle holders, bowls or drinking glasses turned upside down to hold platters. 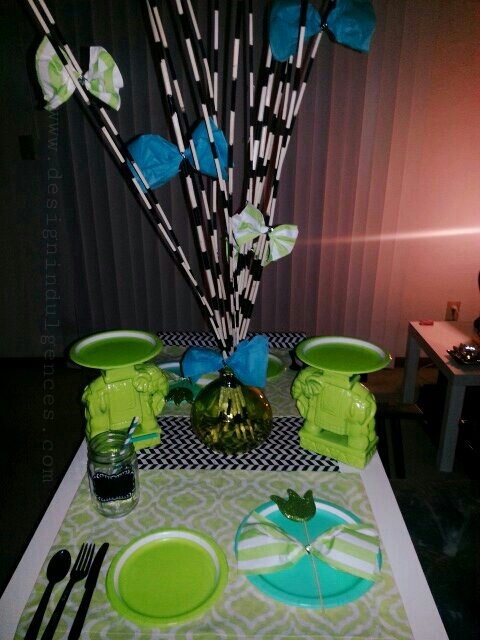 Whenever you can elevate platters of food at different heights, you create visual interest. 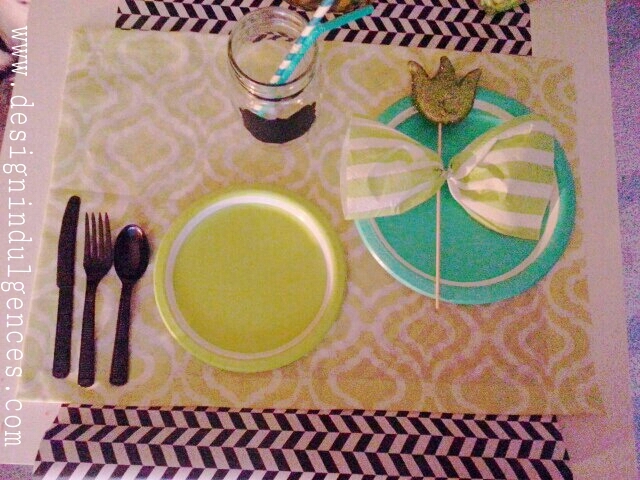 Lastly, I used glittered tulips from Dollar tree to add some sparkle to the place setting. All paper products were from my beloved Target. 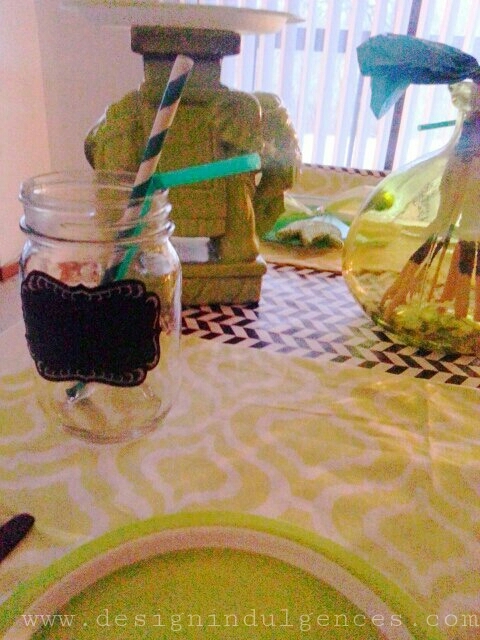 The mason jars (previously owned) were scored at the Goodwill for 49 cent each and I used chalkboard sticker labels from Michael’s and topped with matching straws. 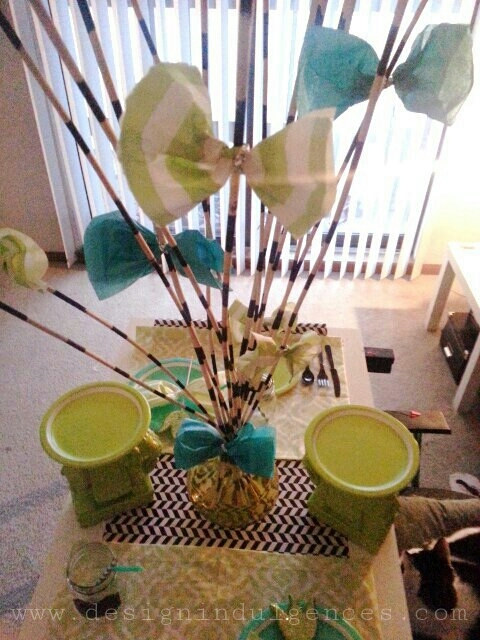 I think this would work for a gender neutral baby shower or birthday party as well.